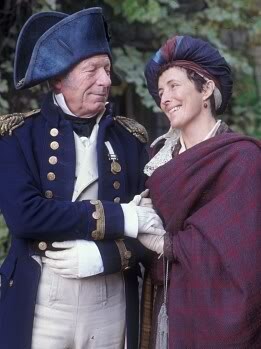 The turban Mrs. Croft wore in 1995’s BBC version of Persuasion is probably similar to the marmalouc cap — a nod of admiration to British efforts against Napoleon in Egypt. Kempshott was an out-the-way manor in Hampshire’s Basingstoke Hundred, and not far from Miss Austen’s residence in Steventon. The logistics of nearby toll roads and rather good hunting combined to make this corner of England greatly desired during the Regency and Kempshott came to the notice of the Prince of Wales, who conceived a fancy for the estate as his hunting box. HRH leased the commodious house from a man named Crooke, who was then residing at Stratton Park, the mutilated house mentioned in this blog’s previous post. The course of the house’s history during this time is well-documented at Kempshott Park: a Prince’s Retreat. At various times the Prince entertained both Mrs. Fitzherbert and Princess Caroline of Wales at Kempshott. By the time Miss Austen was summoned there, Prinny had left for the Grange–the one whose fabulous art collection was bombed by the Luftwaffe (see previous post). Then Kempshott was leased to Lady Dorchester. It was her ball Miss Austen immortalized in her letter, living on after countless others have been forgotten. Alas, Kempshott House did not live on. We are lucky one Constance Hill, author of Jane Austen: Her Homes and Her Friends (1904), was able to visit the mansion in its waning years. It had come into the hands of the Rycroft baronets, after undergoing some alteration since the Regency, sport ing a fine Italianate exterior that had been added in the 1830s. Miss Hill was able to discover the ball-room of Jane Austen’s day and noted that it had been divided in later years to form a drawing room. 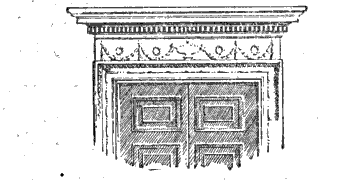 Presumably Miss Hill had her sketchbook with her, for she includes a fine pencil drawing of the ballroom’s intricate door frame in her volume. World War I led to a long period where the house was vacant, its fixtures gradually dismantled and sold. 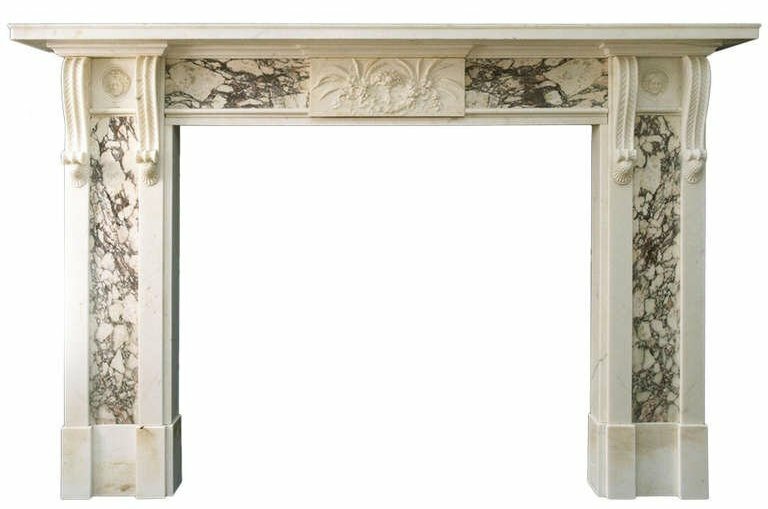 One dealer attempted to capitalize on the house’s impressive connections, for a chimney piece like the one pictured below was plundered from Kempshott. This was sent on to America where it was joined with odds and ends from unknown origin, to form the centerpiece of a room puffed off as if taken from the house wholly intact–what some would later call a spoof. Kempshott House was about to be demolished when visited by author John Harris in the 1960s. One wonders what Jane Austen would have thought of potatoes piled where she once danced. In a singular letter to the Tattler, the writer offers a disdainful explanation for such a phenomenon. One has either fallen violently in love with a rake and is blinded by passion to his many disastrous characteristics, or she’s such an innocent as to be wholly unacquainted with what a genuine rake is. Far better to seek a man of great intellect and maturity, more concerned with the affairs of the world than the high life. One that only a bluestocking could love. 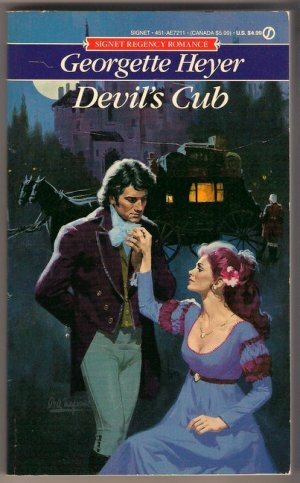 Balogh’s rake was “lewd, lascivious, mocking..” And yet a bluestocking fell in love with him. Of course, marriage to a prosing fool or some worthy devoted to his rural estate would be very dull. It is proposed, therefore, that a little dash, some elegance and the ease that characterizes the rake can be had as long as the intended spouse is endowed with a quantity of good nature. 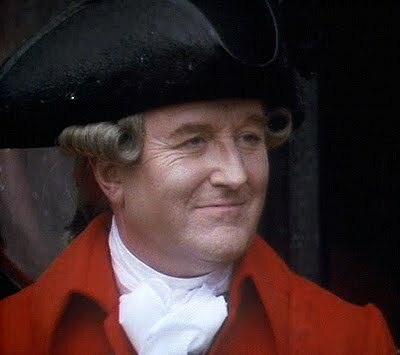 As this letter is in the vein of a good many Regency epistles, the true aim of its discourse is to praise that prized quality of the time–the quality of good character. Good nature that is both amiable and tempered by sense can only be discerned by observation of the prospective husband. 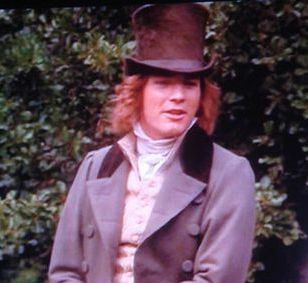 Regency preoccupation with character is the reason why Ms. Austen forces darling Lizzie to quiz poor Mr. Darcy. She searches for amiability despite his forbidding manner, readily admitting that she is quite determined to discover the nature of his character. How wonderful when she does, and that it took her some time to discern it! One of a surfeit of sequels, I daresay. A surfeit of anything, be it lampreys or love, can be a bad thing. 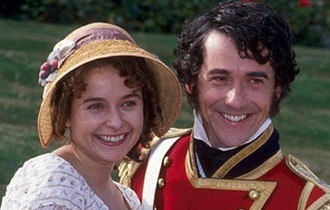 This notion was well-known to Austen heroines like darling Lizzie and beloved Anne. Indeed, during the Regency, the rise of Romanticism in art was viewed with some alarm because it unleashed longing, passionate love. If it could be confined to the landscape of nature and politics, then all should be well. And then along came Keats. 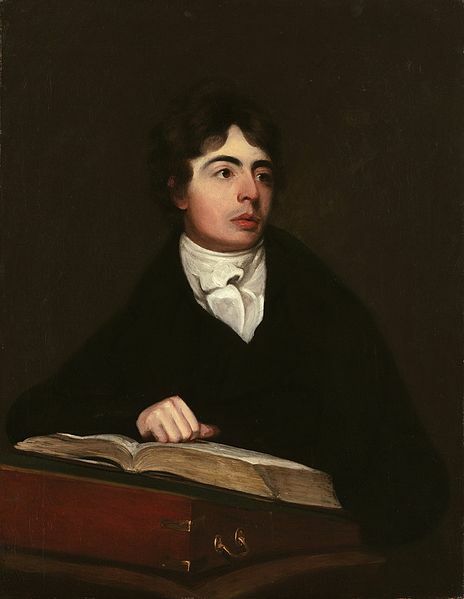 Despised “above all” by Byron, John Keats (1795 – 1821) remains the most enduring poet to inform us on Regency love. And, as Mr. Darcy pointed out in that discerning way of his, poetry is so necessary to love that the latter could not exist without it. Keats felt the same way. The passionate Bright Star, considered to be his love verse to Fanny, burst forth like a comet, the glorious Hyperion and Ode to a Grecian Urn in its blazing wake. These works have risen above all other poems of the Regency and indeed, higher than any other, of the nineteenth century. Keats died young, suffering from the great love he bore his bright muse. 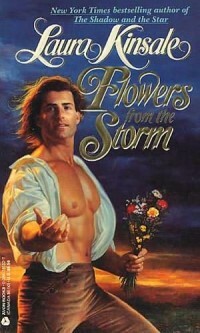 His poetry is still the food of love today, and is one of Regency love’s greatest legacies. 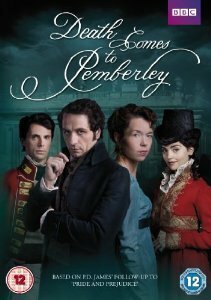 Catherine’s opinion changed dramatically once she stayed at Northanger Abbey. 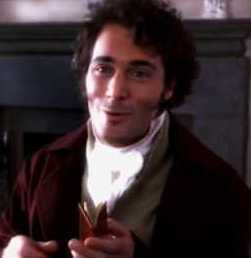 Henry Tilney’s father became stern and menacing, scrupulously avoiding all mention of his dead wife. Catherine disliked him every bit as much as darling Phoebe did the Duke of Salford. You and your “stupid” pamphlets. And with him sleeps, chill’d to eternal rest!